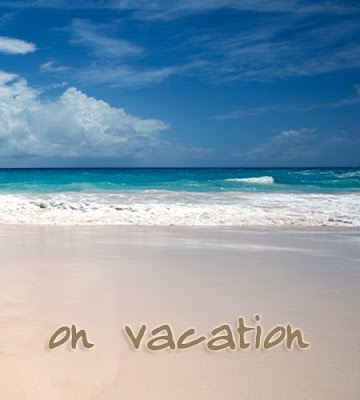 Great content from around the web- Sports, The Hobby, news, TV, music, movies, photography, technology, comedy, video games, comic books, hotties and more! petermurphyinfo The Dirty Dirt Tour! Peter Murphy live in Europe & North America. Check petermurphy.info for tour news & updates. Microsoft_Xbox Battlestations: Midway is now available on the Games on Demand. Microsoft_Xbox Battlefield 2: Modern Combat is now available on the Games on Demand. The last two days have been a whirlwind of activity. Because of my work with Card Corner Club and Sportsology.net, I have had the distinct pleasure of being asked to cover, my hometown team, the Chicago Blackhawks, in their Stanley Cup match-up with the Philadelphia Flyers and issued full media credentials including locker room access!! Yesterday I attended practice and a post-practice media session with locker room Q/A and the head coaches' press conference. Feeling a bit like a fish out of water, I followed the crowd after practice into the dressing room. When I entered that inner sanctum I'll be the first to admit that I was a bit star struck. Here was MY team!! I paused a few minutes to take it all in and realizing I actually had a job to do, I tentatively approached one of the players, former Flyer and current Hawk, Patrick Sharp. I had heard he was a nice guy so figured that would be a good place to start. Now feeling more confident, I worked the room and worked up the nerve to ask more questions. I got some great sound bytes from Adam Burish, Antti Niemi, and Brent Sopel in addition to Sharp. You can hear all the audio and read my Stanley Cup preview over at http://sportsology.net . Well today is the BIG day. After finding my way to the Media Work Room and enjoying a pre-game meal and reviewing Game Day Media notes, I am currently in my seat and we are a half hour away from puck drop and I couldn't be more excited. Over the last year, Topps has managed to regain their famous and cherished monopoly in the baseball trading card world through exclusive licensing deals with MLB, MiLB, and USA Baseball. Arthor Shorin would be proud. Flustered by almost 30 years of competition in the marketplace, Topps is once again reaping the benefits of what they sowed in their first 30 years. However, as I see it, they are currently struggling with defining who they are and what they do. The identity crisis of which I refer can be summarized by 3 products. 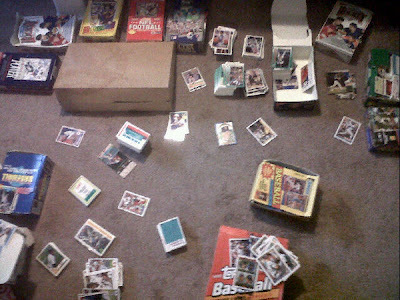 Catering to a target market that is as polarized as sports trading card collectors is no enviable task. It is impossible to produce one product that meets the needs of the various factions of collectors, be they set builders, rookie card collectors, high-end gamblers, player or team collectors, prospectors, etc. And yet often times that seems what Topps tries to do. Coming on the success of their Attax line, reportedly accounting for 25% of their trading card revenue, Topps is scheduled to release a NFL licensed version later this summer (early August 2010). Designed as an affordable, kid-friendly trading card game to serve as a potential gateway to the larger collecting hobby, Topps has put a tremendous amount of marketing resources into the game. The problem is, it's boring. The game play engine is too simple and offers little more than a sports card version of the classic playing card game "War". But maybe that's the point, make it simple and cheap and they will buy it. It appears to have worked thus far. Now we come to find out that Topps will be randomly inserting autographs into the product. Doesn't that defeat the whole point? Or is the NFL version the equivalent of candy cigarettes once designed to serve as a gateway for kids to the real things when they were older. Are we know going to purposefully replant the seed of the hit mentality in a whole new generation of would be collectors? Isn't it that same mentality that got the industry to where it is today? 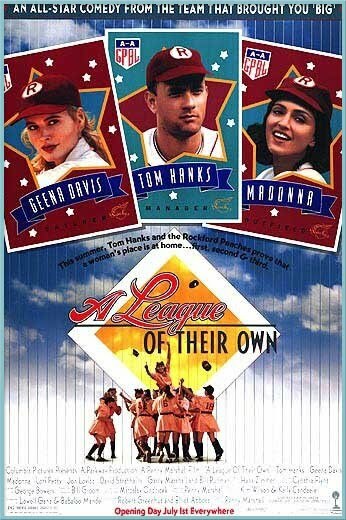 When the MLB crafted the rookie card logo, it was designed to eliminate confusion in the marketplace. The theory being, that if a player has a break out season start, gets hot mid-season or is a late call-up that helps a team win in the post season, collectors and casual fans will know the current year and be able to find that player's rookie card in current product releases. Simple enough right? So what does Topps do? They find a loophole around the logo to include prospects in current year trading cards. What this means, is for a guy like Jason Heyward, even though his 2010 Bowman card is designated as a Rookie, collectors know his "real" RC can be found in 2007 products and rendering his RC logoed rookie virtually worthless. What a turnoff to the unsuspecting hobby returner, newbie or fan. So what's the deal? 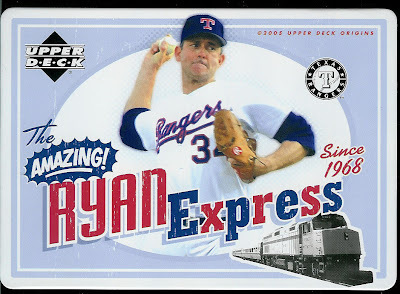 Doesn't Topps have a vested stake in the process of attracting new or one-time collectors to The Hobby? Or converting the sports fan to a casual collector? Of course they do, but 2010 Bowman is a perfect example of where their greed, interferes with the health of The Hobby as a whole. Triple Threads- Enough people buy this product that the design department of Topps has bought into the mis-guided logic that it doesn't matter what the card looks like only how many relic pieces can be crammed into it. This is a total double edge sword. The cards look like crap but people buy them, in droves. Why should they ever change? Topps English Premier League, Cricket, UFC, and who knows what else. I would prefer they focus on making a few GREAT products than dozens of mediocre to crappy ones. 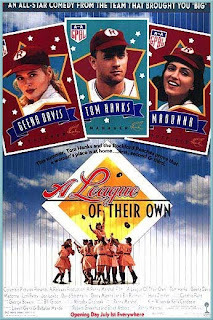 Dorothy "Dottie" Kamenshek, fictionallyby Geena Davis in the movie, "A League of Their Own", passed away Monday at the age of 84. Dottie played first base for the Rockford (IL) Peaches and is remembered in a fitting tribute by Samantha Carr of the Baseball Hall of Fame. Dottie, has had a few collectible items including a Cooperstown Collection Starting Line-up from 1997 and an independently made baseball card in the AAGPBL set manufactured by Larry Fritsch of Fritsch Sports Cards. A willing through the mail signer well into her years classic B/W photos can also be found signed. You can see all of her currently available items on eBay. What Do Chris Olds, Keith Olbermann and I Have In Common? 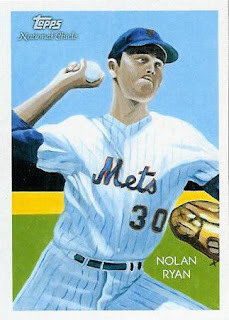 We have all been published on the Topps Million Card Giveaway Stories page. Not since 2001 Upper Deck and the coveted RC's of Albert Pujols and Ichiro Suzuki has an early season release seen this much hype. There are currently 17,316 listings on eBay for "2010 Bowman" and by the time this post is published that number will probably grow. Fueled by the anxiously awaited debut of Stephen Strasburg collectors are eating this product up by the close load as evidenced by the numerous breaks on the Blowout message boards and the exorbitant prices for Hobby ($85) and Jumbo boxes ($160+). Autographs drop at 3 per box for Jumbos and the prices realized on eBay for Strasburg, Starlin Castro, Dustin Ackley and other prospects 1st autos and refractors are outrageous. 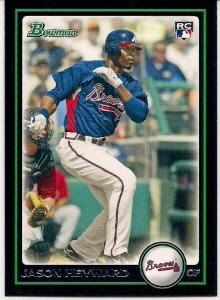 2010 Bowman is prospect speculation at its finest and I understand that. There is a lot of potential money to be made. However, only a week after its release quite a few of the "gold mine" pulls are already accounted for and yet there has been no drop in the product's price. This equates more to supply and demand then it does common sense as I have long wondered that now through social media and the ability to keep track of a particular products content and its pulls, shouldn't the price theoretically go down with each major pull that disappears from remaining unopened product? If I go buy a jumbo box today I know for a fact that the Superfractor 1/1 Auto for Strasburg is gone. How do I know? Because of this handy dandy Superfractor Tracker. Now, I am not so naive as to not understand the simple basics of Econ 101, but what I do find interesting is collectors seemingly disregard for this age old principal. If only 33% of prospective box buyers were to hold off a week or two, wouldn't it would effect the supply/demand equation enough to result in a drop in price? However, I also realize that in the mind of the collector is the fear that by waiting, the product will sell out. Despite the aggressive pursuit of this product I have yet to see it at retail which isn't necessarily surprising. It seems the manufacturers and distributors are making an attempt to provide brick and mortar retailers a cushion so collectors go there first. Once it does hit retail and with drastically different odds, I think it's fair to say the bulk of the product's content will have already been pulled. Prices for singles rise sharply in the first 48 hours of a product's release and then taper with occasional spikes as new "money hits" are pulled. 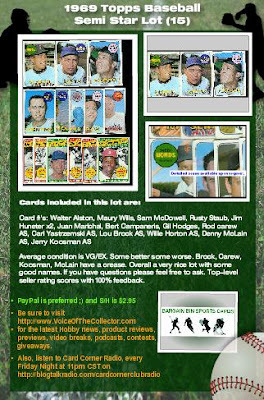 The prices realized this past week will not be sustained over the long-term and adds another factor in the "gotta have it NOW" mentality of Bowman collectors, prospectors, and speculators. It's amazing to think that all of the prices realized to date, have been for raw cards. Can you imagine what's going to happen when cards sent in for grading start hitting the secondary market? I would love to be in a financial position to bust a case of Jumbo for the sheer sake of flipping it. But as a collector, I am still amazed at what you could have in exchange for the money paid by some people for cards of unproven players with an above average chance of actually never amounting to more than a mere "cup of coffee" in The Show. My $50K eBay spree from a few weeks ago could have landed me single signed balls from Mantle and Williams, with money left over when compared to what the Ackley Superfractor went for. Great content from around the web- TV, The Hobby, comic books, music, movies, news, video games, sports, technology and more. Marvel Read Iron Man 2 - Black Widow: Agent of S.H.I.E.L.D. http://is.gd/bZb4s The Black Widow goes undercover in Marvel movie continuity! cardboardicons Twitter friends, I need your help. Can everyone create an eBay search for "Soriano Plate" and "Jon Lieber Bowman"? 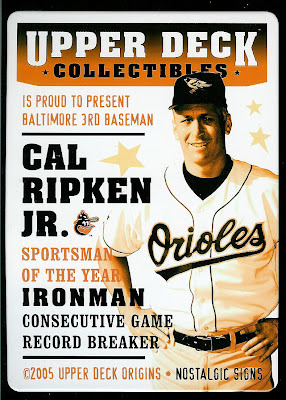 I recently added a couple of pieces to my Nolan Ryan and Cal Ripken Jr. player collections. 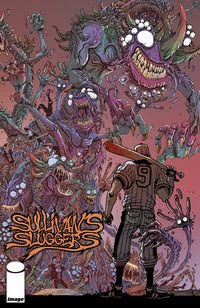 Many of you probably remember a product released from Upper Deck in 2005 called Origins. Each hobby box contained a box-topper with a nostalgic tin sign. I recently won another drawing at www.SportsCardKids.com for a $10 gift certificate and purchased these beauties. Kitchy but cool. Below is a list of questions Topps is soliciting collectors to answer regarding their 2010 products. They are giving away random prizes and you don't have to be a blogger to enter. You can find all the details here. This one is easy. Fan Favorites. 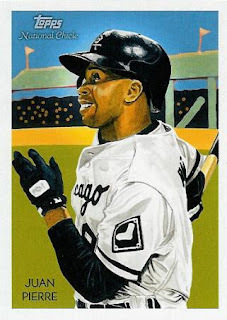 I love seeing the old school retired players, the greats of the game and legendary Hall of Famers on old Topps designs. Doing this set right would obviously mean ignoring the relics and making sure the autos were hard signed, 2-per box with no more than an $80 price tag and a base set of 200-250 cards. I'd really like to see a product incorporate an "audiogram". An embedded MP3 in the card of a player describing a particular winning catch, run, pass, etc. I would buy a product that had no autos or relics but delivered 2-3 of these per box. What about the idea of using the book type card but when it opens, it unfolds a replica of an NFL stadium, kind of like a pop-up book? It would have to be well designed to not be cheesy but those might be pretty cool. I've often thought that on a card back instead of the same old bio and stats, a quote from a player's former coach would be cool. So you would have real basic bio info, last year stats and a quote. Real simple, insightful and different. All of the first round picks. 4. Regarding our products calendar, which releases would you like to see early in the season, late, etc? To avoid using the dreaded, "photo-shoot worn" or "event worn" rookie relics any product that is going to be heavy on rookies should be autos only in the first part of the year, thus saving game used reliant product for later in the season. Not per say, but, it is imperative, regardless of the cost to get Walter Payton into products. Not just cut autos but base and parallel cards. 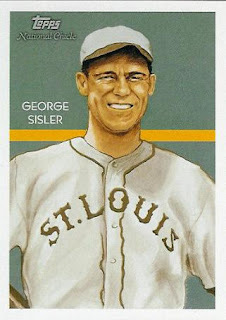 There has been a real lack of his cards on the market the last several years. Well to all the people that griped and complained about their being too many products on the market, I hope you're happy. Because unless you like art cards (which I do LOVE) with mediocre player renderings (albeit the cards overall are FAR superior to the horrid previews released a couple of months ago), you are pretty much S.O.L. as a baseball card collector right now. If I see Chicle the next time I'm at a big box, I'll check it out. However, I am not going to go out of my way to the (hardly) LCS as the gas alone would cost me about 2 packs at retail. Collectors are in for some short-term growing pains to allow the market, the industry and subsequently The Hobby, to return to a more stable and viable environment. I understood the need to reduce the overall number of brands on the market at any given point. The years from 2001-2005 were ridiculous with the multiple product releases per week. But, in all honesty I would have preferred that to the drought we as collectors personally find ourselves in. This whole exercise in exclusive licensing, I hope, is a short-term plan to serve as a major market correction. Eventually then, allowing for the addition of a second licensee and a middle ground in the number of products released from the 100+ per year in the aforementioned time frame to the current single digit number released to date, almost mid-way through the calendar year. Looking at the upcoming releases scheduled, absolutely NOTHING gets me excited. Allen & Ginter- Again? Really? Keep it. 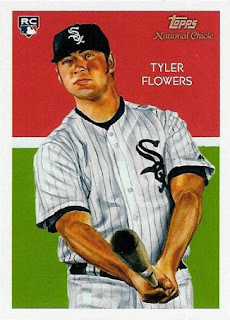 Topps Series 2- More or less out of collector obligation I guess. T206- Another horse to beat to death ala A&G, no thanks. So basically, any collector who likes upper mid-range to higher-end product and singles from those products is screwed, plain and simple. But, for the health of The Hobby, I am willing to suffer through what I hope and pray is only a short-term situation.